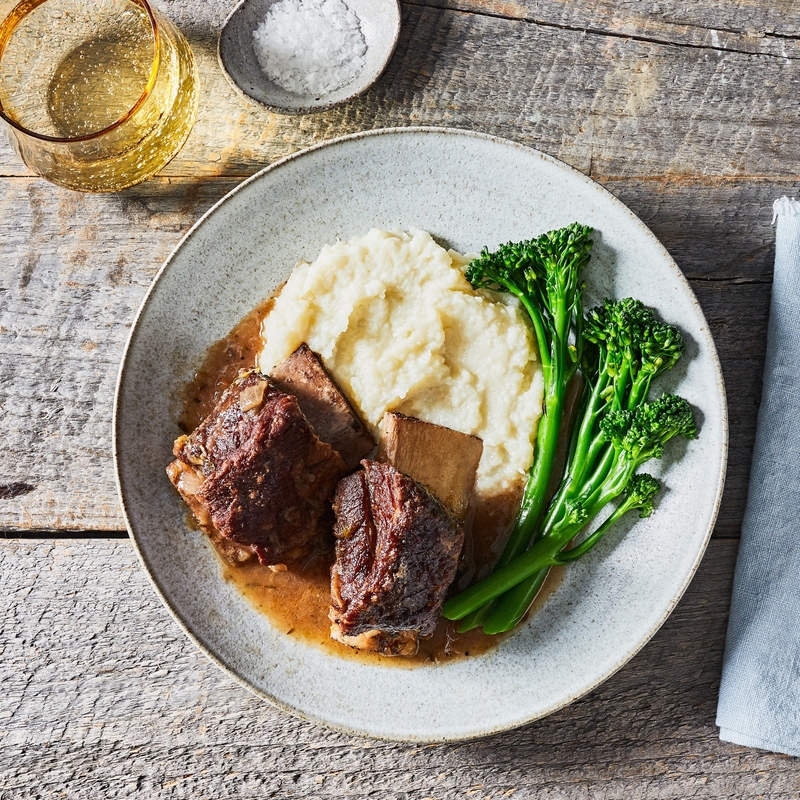 Our grass-fed, overnight-marinated classic beef short ribs deliver fall-off-the-bone, classic goodness. Spooned on top of our mashed cauliflower and with some broccolini for good measure, this dish is not only soul-satisfying, it's an excellent source of both vitamins C and B6. Ingredients: Grass Fed Beef, Broccolini, Cauliflower, Chicken Stock (Roasted Chicken, Salt, Sugar, Yeast Extract, Chicken Fat, Corn Starch, Potato Starch, Onion Powder, Turmeric, Natural Flavoring), Onions, Potatoes, Leeks, Red Wine, Garlic Clove, Celery, Jalapeno Pepper, Extra Virgin Olive Oil, Plum Tomato, Half and Half, Organic Ginger Root, Organic Lemon Peel or Zest, Grass Fed Butter, Kosher Salt, Canola Oil, Organic Thyme, Organic Black Pepper, Organic Paprika, Organic Bay Leaf, Organic Garlic Powder, Organic Onion Powder. Contains: Milk.